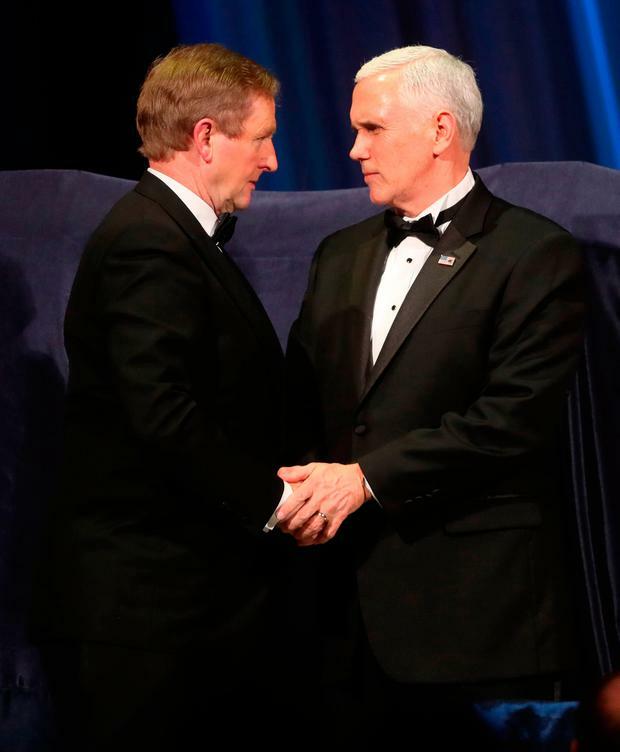 US Vice-President Mike Pence has lavished praise on Taoiseach Enda Kenny's "extraordinary leadership" and said he is confident ties between Ireland and America will grow under the Trump administration. Speaking at a breakfast gathering with Mr Kenny at the vice president's home in Washington's Naval Observatory, Mr Pence, who repeatedly referenced his grandfather's journey from Sligo to a new life in the US in the 1920s, said he was "humbled" to receive the Irish delegation. "Let me say that under President Trump's leadership, let me say Taoiseach that I am confident the ties between our countries will only grow," Mr Pence said. "They are ties of the heart, ties of congress, they are ties of shared values. And under President Trump's leadership and the extraordinary leadership that you've led with your government, the prosperity of recent years has been a marvel, the best days for Ireland and America are yet to come." Among the Irish-American guests were the Secretary of Homeland Security, John Kelly, and Congressmen Peter King and Tom Rooney. In response, the Taoiseach said that Ireland will always be a friend to the US, as he wished the Trump administration "every success". Mr Kenny said there were "many international and global challenges" for the new administration. "You and President Trump now occupy the two most powerful political seats in the world. "You have a responsibility and opportunity to deal with many of those [challenges]," he told Mr Pence. "It's not easy but you're going to get help from Ireland and you're going to get help from the European Union. "Ireland and the EU will never be but a friend to the United States." At one point during his address, the Taoiseach confused Mr Trump with former President George Bush. He went on to speak about the important roles that immigrants have played in America over the decades and the "contribution that the Irish have made to American society". The politicians dined from a menu of layered omelette with spinach, tomato and applewood smoked bacon, along with country potatoes and fresh fruit. 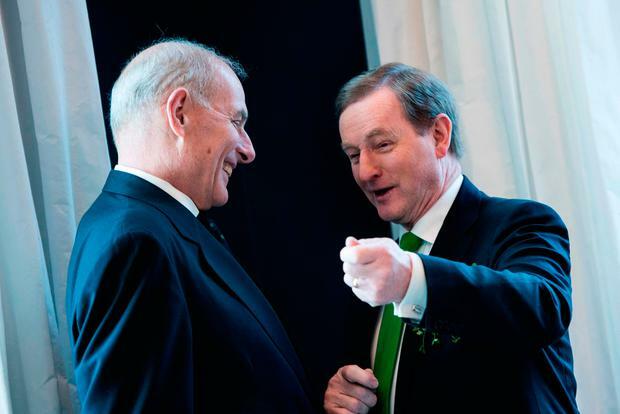 And Mr Kenny presented the vice-president with a hurley.